The Archivists Round Table of Metropolitan, New York Inc. is holding a special event at our current exhibition, Fujisan: the Eternal Symbol of Japan this coming Tuesday, October 24, 2017 as a part of Archives Week 2017. The Burns Archive is proud to present our sixth annual exhibition of hand-painted nineteenth century Japanese photographs at the RESOBOX Gallery. This year’s theme is the iconic Mt. Fuji, the highest mountain in Japan (12,389 ft). 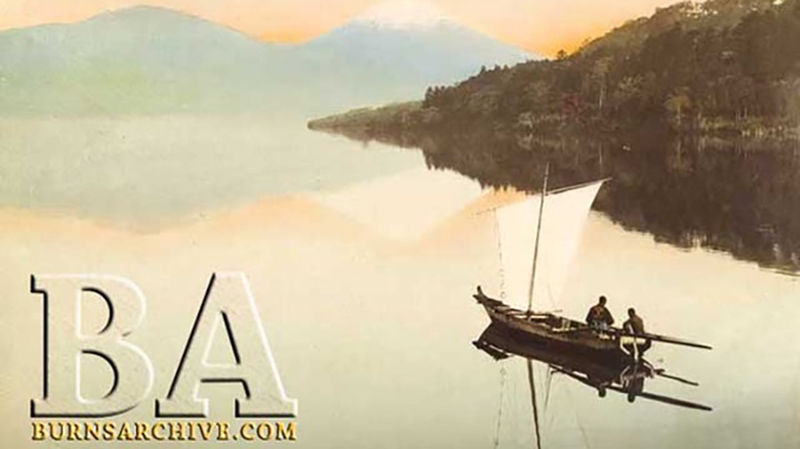 The exhibit includes Meiji Era (1868-1912) photographs of landscapes depicting the great mountain from various viewpoints, as well as staged studio scenes featuring Fujisan as backdrop. Mt. Fuji, with its graceful conical form, is a sacred and eternal symbol of Japan. Join us for a gallery talk and exhibition viewing. To RSVP, please e-mail liz@burnsarchive.com.